Since the last patch 8.1.5 we can't see anymore the item level on the personal character window but it's still show the item lvl in the bags or when you inspect other character items. Could you fix that bug ? You can modify it manually. Open the ItemLevel.lua and find line 400. A. When I want to paste item link in the chatbox. Would if be possible if you would add the ability to overlay ilvl on gear to the BaudBag addon? Sometimes I get an error when I join a party. I am using version 8.0.8. There is an issue. 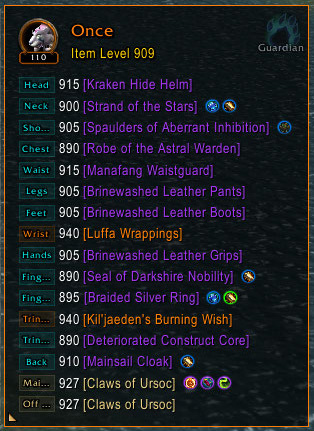 The item level on icon inside tooltip of world quests is incorrect. Has this addon been abandoned by the author? It's under MIT License, so someone else can carry on with it. Any Change for an 8.0.1 update? idk why not updates here. Hm thats not good. I only use Twitch Client to install and update addons. I will try the one from the link, but if there will be any problems, I will look for an alternative addon.